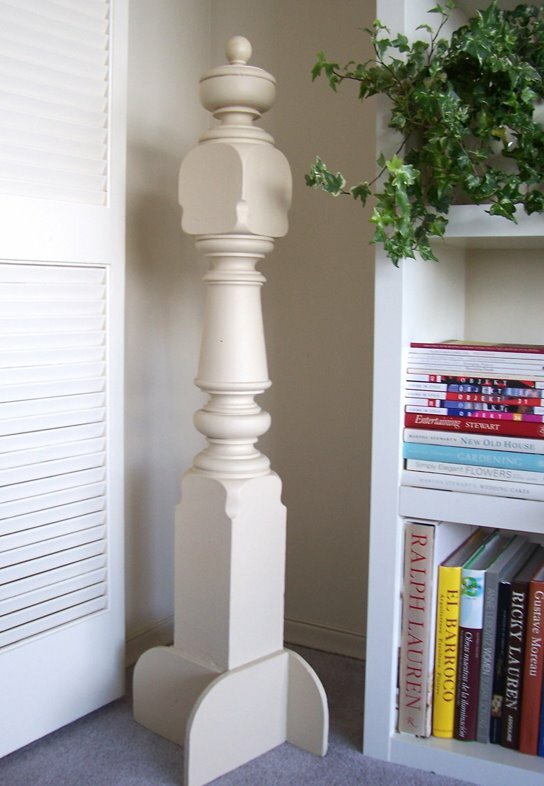 I've had this old baluster my entire life and it, in turn, has had many lives. It was salvaged from the house where my father grew up prior to a renovation. It likely dates from the 1920's. It spent a while in my parents' basement during the early '70s and when I was just a year old it was put on show again. 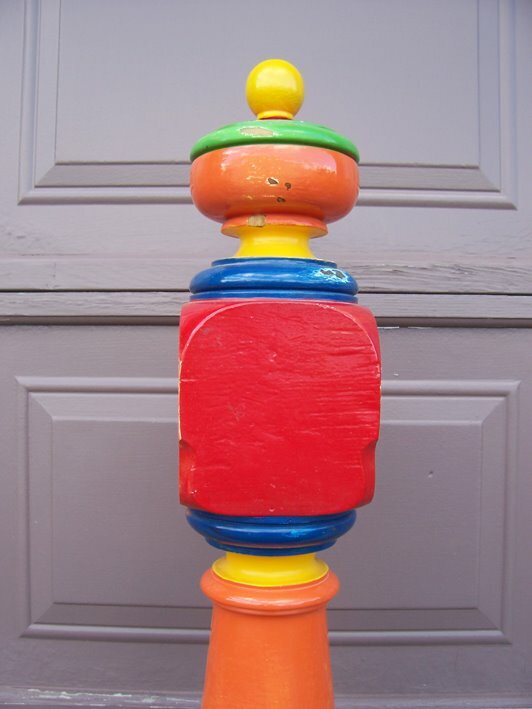 My father painted it a rainbow of colours and fitted it with a base he constructed himself so that it could stand freely, without the support of any railings. It was placed near my crib, and then my little bed, and it had a place in my childhood rooms, from house to house to house, until about the age of 13 when I considered it 'too juvenile' for my bedroom, which was painted a serious gray at the time. It went back into my parents' basement for a little rest. It was only last year that I decided to reclaim it. It needed to be sanded down and repainted. I chose a dark cream tone, since neutrals work well in just about any scheme and I was quite pleased with the way it turned out. I like the idea that I will have this 'artifact' from my father's childhood home in any home I live in. I also like the sculptural, architectural detail it lends to the room it finds itself in. In a traditional setting, it blends right in. In a modern setting, it adds a counterpoint of interest to cleaner lines. 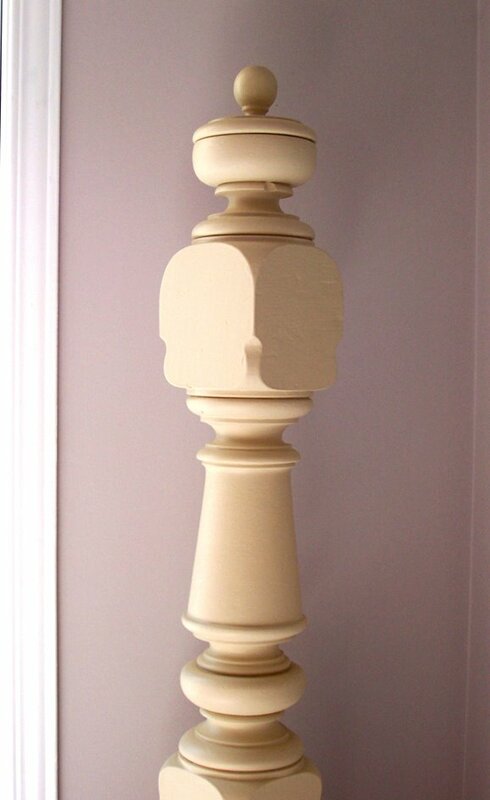 The new cream colour on the baluster is a marked contrast to the rainbow-bright tones of its youth. The base, shown below, is an ingenious construction devised by my father to support the baluster. Hmmm, very good idea, Brent. I would do it if my front hall wasn't a little galley of a space. I've debated screwing in some old antique hooks to use it exactly for that purpose, but I want to preserve it. I like the idea of the scarves around the neck, though. That's fun!